Mold Awareness Training instructs on what mold is, the hazards of mold contamination, and the basic principles behind mold remediation techniques. 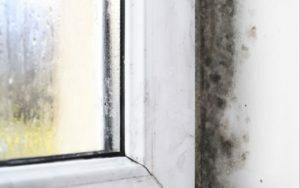 Many buildings and work sites, whether within processing, manufacturing, construction or oil and gas, have mold present within the facilities. Training has proven to be very informative to building owners, contractors, building managers and health workers who may encounter mold contamination problems. Upon completion of this program, you will receive a wallet-size Mold Awareness Ticket/Certificate, that will show you have the credentials. We keep your records on file permanently. Feel free to have your prospective employer contact METI to confirm your Mold Awareness Certification. Please contact us at (902) 539-9766 or send us an email at training@metiatlantic.com for more information or to book your seat in our next class. Back to our Safety Training.